A charming advertisement (ca. 1900) by G Boano for Dubonnet, the Tonic Wine with Quinquina. Dubonnet is a sweet, wine–based aperitif. It is a blend of fortified wine, herbs, and spices (including a small amount of quinine), with fermentation being stopped by the addition of alcohol. 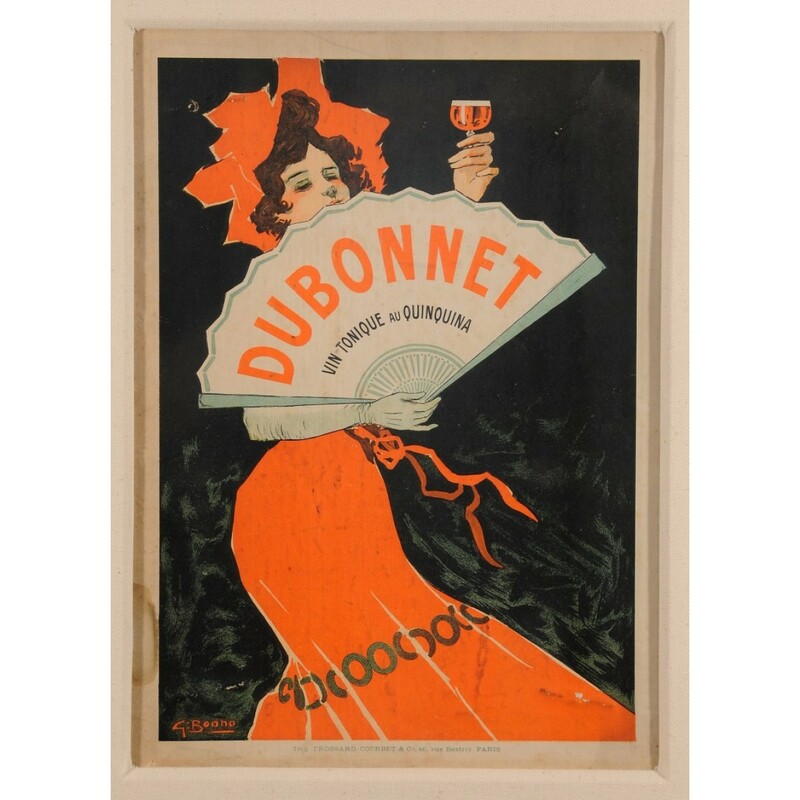 Dubonnet was first sold in 1846 by Joseph Dubonnet, in response to a competition run by the French Government to find a way of persuading French Foreign Legionnaires in North Africa to drink quinine.